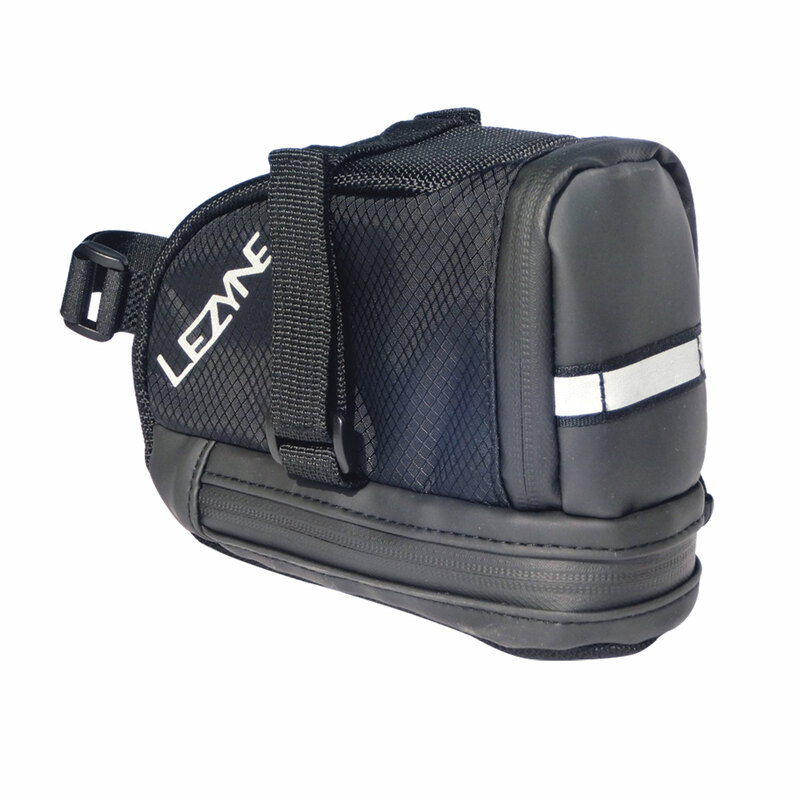 Large capacity, wedge-shaped saddle bag. Velcro straps attach to saddle rails and seat post. Durable woven nylon construction. Large main compartment with labeled organizational pockets. 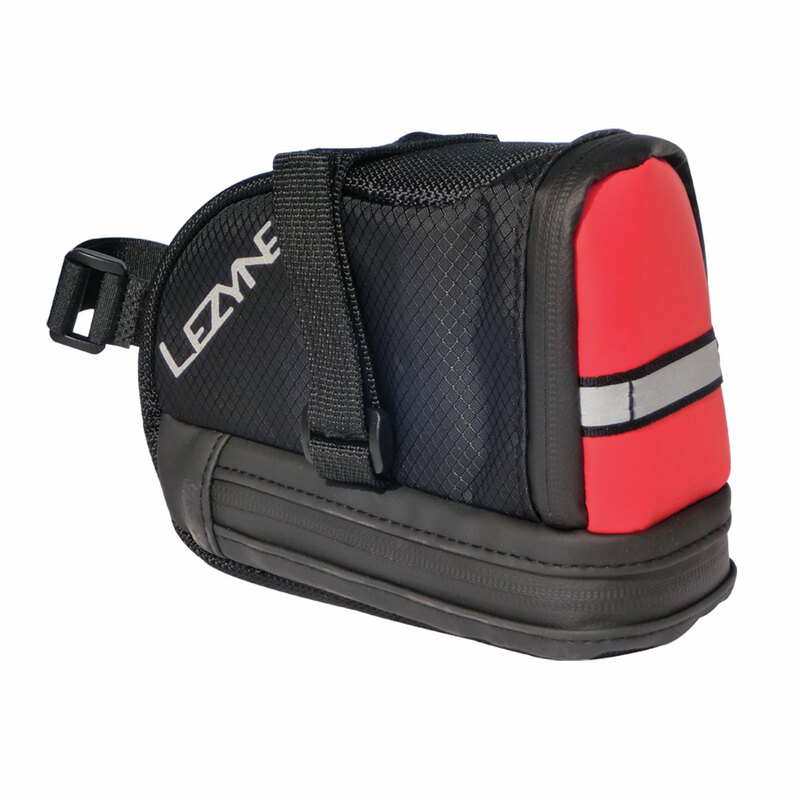 Sub compartment for multi-tool or mobile device. Reflective logos and loop increases night visibility. Water resistant zipper with large pull loop. Color options of high contrast red/black or black only.